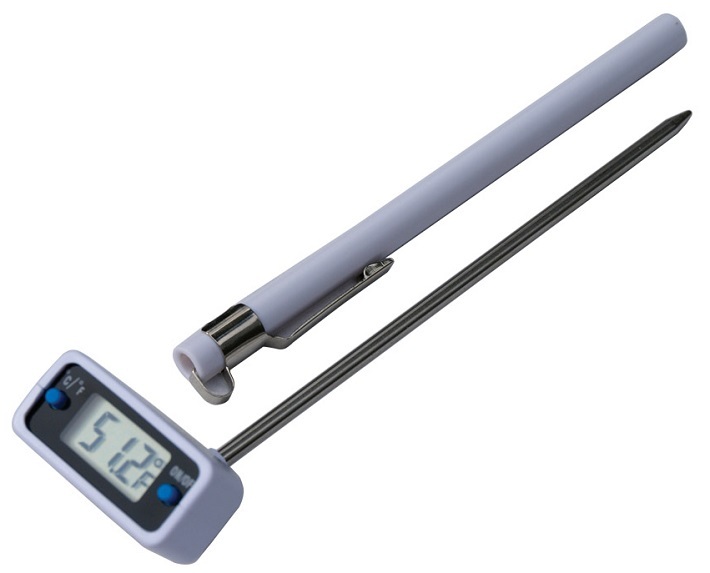 The Brooks-Range thermometer measures temperature swiftly and accurately in either Fahrenheit or Celsius scales. Range varies from -20C to +150C, or -4F to -302F. The head swivels for easy reading. Fast 1-second update time with an auto shut-off feature. 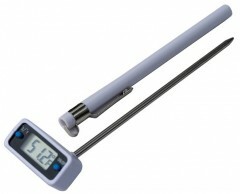 Stainless steel probe is durable and corrosion resistant. Both the On/Off switch and scale-selection switch are located on the face for simple access. Includes a handy case with clip. Five Stars for a big improvement over those hopelessly old school dial stem thermometers. Plus easy to switch between C for conformance with AAA SWAG vs F when your hopelessly old school American brain wants to translate temps into something relatable.